See and be seen. LG K10 Smartphone comes with a new fantastic look which is crafted with a sleek, modern pebble design that is visible even in bright sunlight. Your new look is crafted to perfection with a sleek, modern pebble design and a glossy display that’s vivid—even in bright sunlight. Life’s an adventure—don’t miss a moment of the action. Focus in and capture it by simply touching the screen. It has 8MP Rear Camera plus Touch and Shoot feature. Boost your imagination with smooth, steady performance and a battery that lasts as long as you, power through your day without pause. This cell phone is compatible with GSM carriers like AT&T and T-Mobile as well as with GSM SIM need cards (e.g. H20, Straight Talk, and select prepaid carriers) need to contact the service provider to check fully compatibility of the phone. 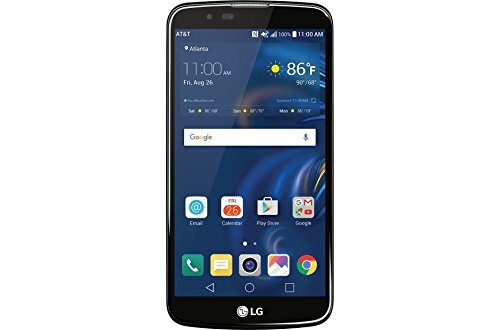 This Unlocked cellphone will NOT work with CDMA Carriers like Verizon, Sprint, Boost mobile or Virgin mobile.